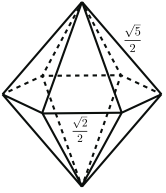 Hexagonal bipyramid imaginary cube (H) and Triangular prismoid imaginary cube (T) are attractive polyhedra. By solving the 3H=6T puzzle, I am sure that you will be touched by their mathematical beauty. 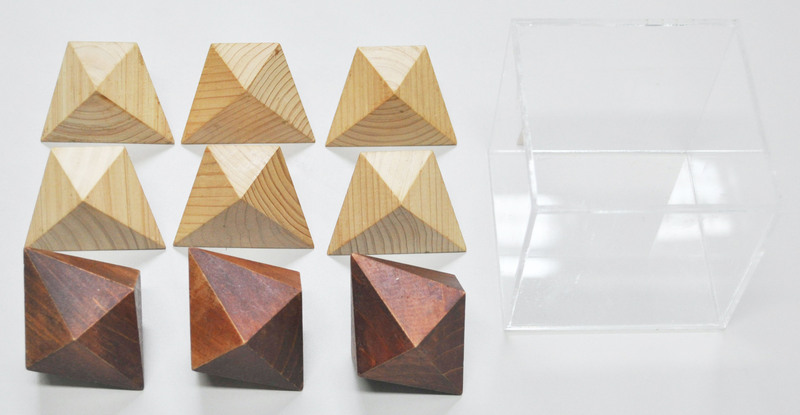 with a Japanese/English booklet which explains this puzzle and its mathematics. 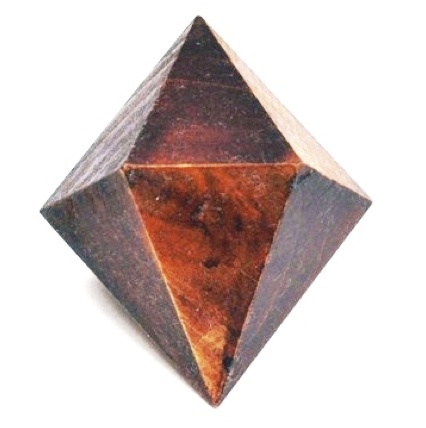 Hexagonal bipyramid imaginary cube (H in short). 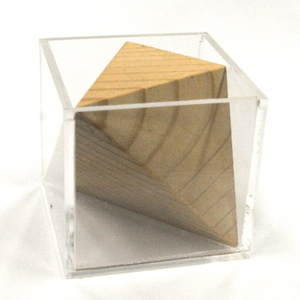 Triangular prismoid imaginary cube (T). 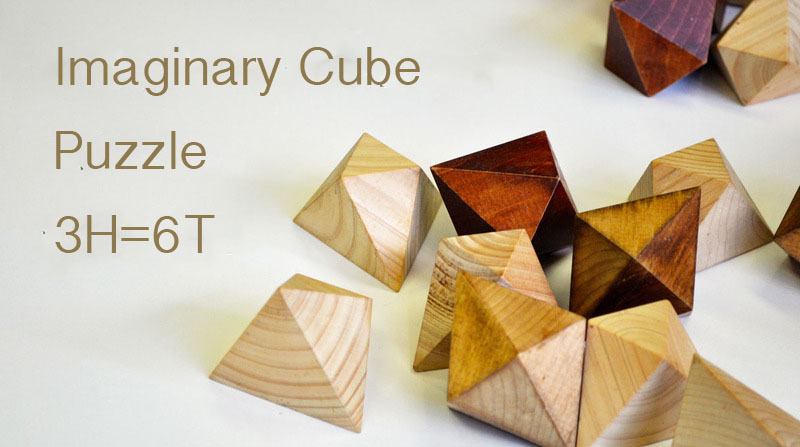 H and T are imaginary cubes. 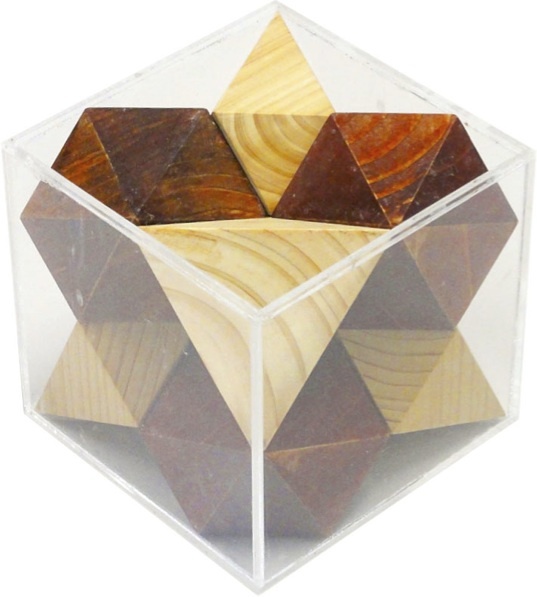 The objective of this puzzle is to put 3 H and 6 T into a double-sized box. 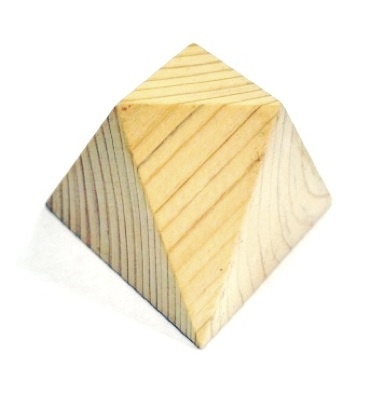 Note that it is easy to put eight of them, but there are nine pieces. One can put so that no gap is left between pieces. 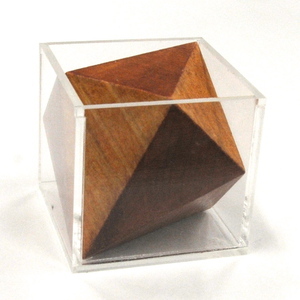 Such a solution is unique modulo rotation of the box. 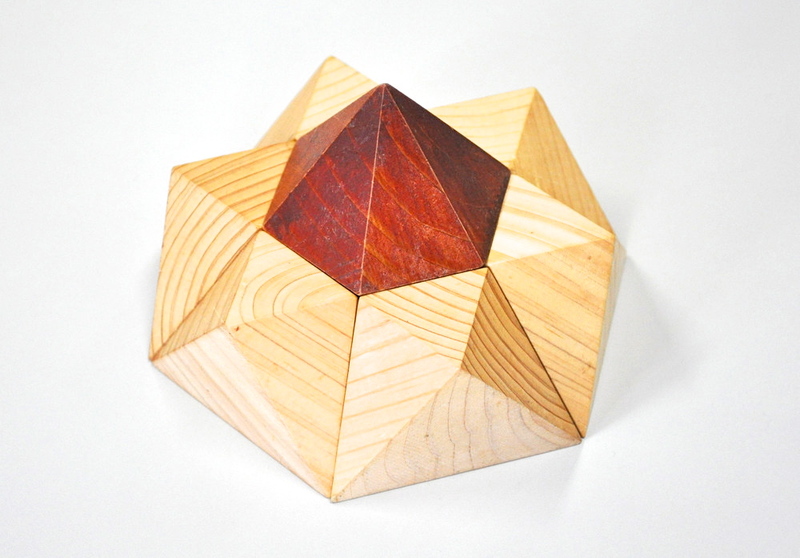 It is based on 3-dimensional tiling by H and T.